(1) Lukas Fenner, Andreas F. Widmer, Gisela Goy, Sonja Rudin, Reno Frei. J Clin Microbiol. 2008 January; 46(1): 328–330. Published online 2007 November 21. doi: 10.1128/JCM.01503-07. (2) Siegel JD, Rhinehart E, Jackson M, Chiarello L, and the Healthcare Infection Control Practices Advisory Committee, 2007 Guideline for Isolation Precautions: Preventing Transmission of Infectious Agents in Healthcare Settings. J. Van Broeck, E. Ngyuvula Mantu, K. Soumillion, M. Delmée . 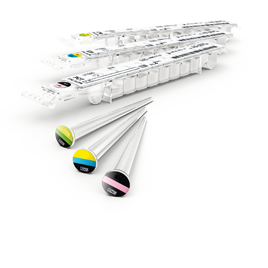 Evaluation of the impact of freezing on positive Clostridium difficile stools using VIDAS® GDH & VIDAS® CD toxins A/B, Liaison GDH, Liaison toxins A&B and C. DIF QUIK CHEK Complete®. L. De Cooman, S. Drieghe, I. Leroux-Roels, G.Glaeys. J. Boelens. Evaluation of the VIDAS® Gultamase Dehydrogenase Test (bioMérieux) for algorithm-based Clostridium difficile testing. C.Eckert, O. Said, C. Rambaud, N. Poccardi, B. Burghoffer, V. Lalande, F. Barbut. 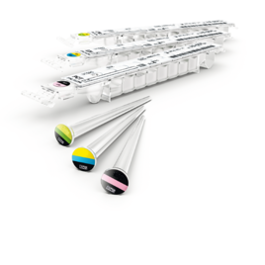 Comparison of the VIDAS® C. difficile GDH and the GDH component of the C. diff Quik Chek Complete for detection of Clostridium difficile in stools. D. Achleiter, A. Wutscher, M. Hell. 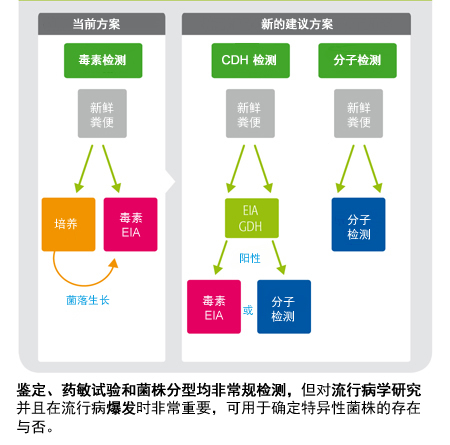 Evaluation of the new VIDAS GDH (ELFA) Test and VIDAS Clostridium difficile Toxin A&B Test compared to a 3-Step Toxin B-PCR based-algorithm at a University Hospital. Davies, K. A., Bosomworth, C. E., Carricajo, A., Adam, T. and Wilcox, M.H. 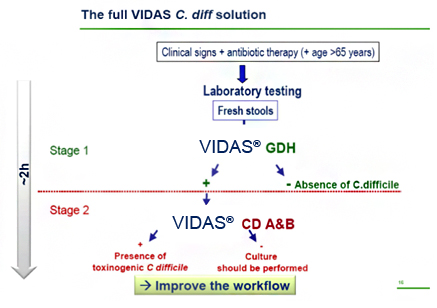 Comparison of VIDAS® GDH automated immunoassay with Cepheid GeneXpert® C. difficile PCR assay and an in-house PCR assay for GluD, for the detection of C. difficile in faecal samples. New C. difficile testing algorithm guidelines recommend the use of a two-step protocol starting with a GDH enzyme immunoassay (EIA) followed by a sensitive toxin EIA to confirm positive results. A culture test then establishes sensitivity for results similar to the “gold standard” culture + toxin test. 3. Rupnik M. et al. : Clostridium difficile infection: new developments in epidemiology and pathogenesis. Nature reviews microbiology. 2009;7:10.1038/nrmicro2164. 4. Bartlett JG. et al. Clinical recognition and diagnosis of Clostridium difficile infection. Clin Infect Dis. 2008; 46:S12-18.